Český rozhlas is the state radio broadcaster in the Czech Republic, broadcasting several radio stations, of which four are available nationally via regular analogue radio, thirteen are broadcasting regionally and a few more can be heard on digital platforms. Yesterday, February 27, it launched a new corporate identity programme across all platforms, developed by Czech design studio Marvil, who also branded the entire republic last year. At the centre of the new identity is a strong and somewhat abstract R symbol. Where previously all services have all had great freedom to create their own individual logos, the new system is much more cohesive and strict. All networks now use the R symbol with the service name written in AG Book, an Akzidenz Grotesk variant. Duaretx is a Brazilian company that manufactures various fittings and features for furniture. This past January it introduced a new corporate identity, reportedly created by Futurebrand. The new logo features an odd abstract shape, inspired by both drops of water and leaves as well as the letter D. It replaces a rhinoceros that has represented the company for some time. 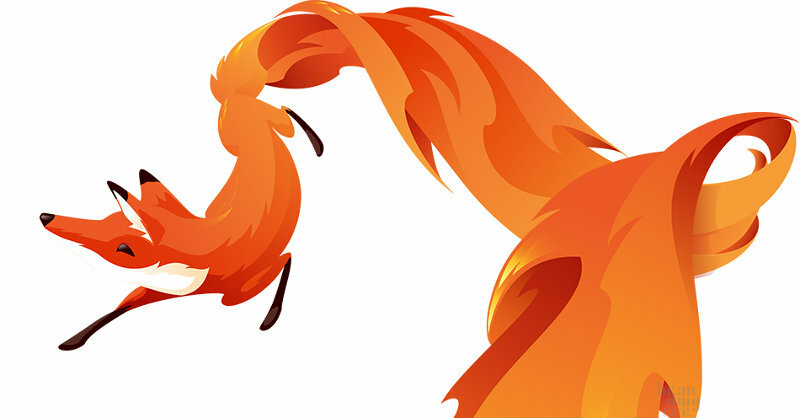 Later this year, Mozilla is venturing into the smartphone and tablet computer business by launching its own Linux-based operating system, dubbed Firefox OS. This week at the Mobile World Congress, they showcased the platform, announced some features, and also revealed the new brand expression, created by Wolff Olins. Taking inspiration from the freedom of mobile devices, Wolff Olins solution "unleashes" the fox in the Firefox logo in a series of vibrant and friendly images of the fox with its fire tail. Fon is a Spanish company that operates several wi-fi networks around the world. Yesterday, February 25, at the Mobile World Congress it unveiled a new corporate identity, aimed at reflecting "the company's position as a proven solution for WiFi for individuals, businesses and telcos". The new identity was created by Interbrand and is due to be fully rolled out in March. The new logo features a quite clever icon that combines a hot air balloon with the radiating arches we associate with wi-fi hotspots. Česká televize is the state television broadcaster of the Czech Republic. Faithful readers may remember its new corporate identity, revealed last April and launched the following September. Last week, on February 21, the company unveiled two new channels with logos extending from that new identity system. The two channels are the children's channel ČT :D and the cultural channel ČT Art. They will share one frequency, with ČT :D broadcasting during the day and ČT Arts after 8 p.m.
ČT :D will also be referred to as Déčko, which I belive means "the D", getting its name from the first letter in the Czech word for children. It also allows them to use a logo with a smiley emoticon. According to a press release, the smile symbol was chosen because it was "simple and all-encompassing", while also being easily identifiable and charged with positive emotions. Munkholm is Norway's leading brand for non-alcoholic beer, launched in 1991 by the Ringnes brewery. This month, a new visual identity was unveiled for the brand, extending from everything from logo to packaging, all created by Strømme Throndsen Design. The entire range has been cleaned up and redesigned to "emphasise the craft and tradition of beer brewing in a modern way", while retaining familiarity. 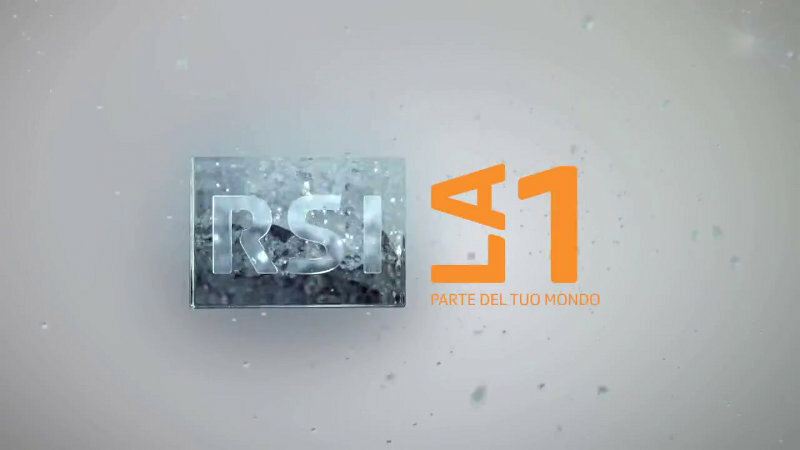 La 1 and La 2 are the two TV channels from Radiotelevisione svizzera (RSI), the public broadcaster for the Italian-speaking part of Switzerland. They seem to be introducing new on-air graphics every couple of years, and this last happened on January 7 this year. Much like in previous packages, the new idents reflect scenery and locations in RSI's area. Additional graphics rely on the channel logos as windows, while information graphics seem quite randomly based around marble runs. Matkroken is Norwegian chain of convenience stores, owned by the ICA Group. The chain is about to be relaunched with a concept that allows greater freedom for independent retailers to shape their stores for local needs. A new visual identity has been developed by Norwegian design agency Grid with ICA's own team. 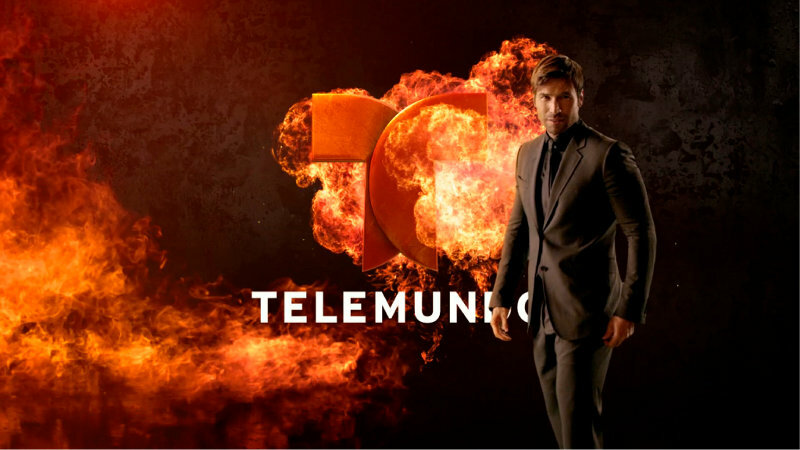 Telemundo is a major Spanish language TV network in the United States, competing with UniMás (until recently known as TeleFutura) to be the second most watched US-Hispanic network. Just like its competitors, the network unveiled a new visual identity last year which launched on December 10 with ads on Times Square in New York. Two design agencies were involved in this rebrand. The logo, which was unveiled at the upfronts way back in May 2012, was designed by Loyalkaspar. UK broadcast design agency DixonBaxi translated the new look to the screen. Loyalkaspar's icon is reminiscent of Telemundo's classic logo that featured an outline of a globe. It is made up of two pieces that can be detached to form a framing device. It is said to represent the duality of the Hispanic audience. DixonBaxi gave the logo different expressions through textures and animation to accommodate a broad range of programming. The style changes from bright and clean in the daytime to a more dramatic look for primetime. The applications are somewhat reminiscent of their earlier work for UK channels Watch and Yesterday, but with much more attitude and speed to reflect the US-Hispanic TV market. The graphics package features much of Telemundo's on-air talent. The shooting for IDs took place over three days in Miami and 170 network stars shot against a green screen. United Kingdom Athletics is the body that governs athletics in the United Kingdom. Last month, on January 24, it unveiled a new brand identity and announced that it would be marketed as British Athletics in the future. The new corporate identity was designed by SomeOne in London, who found a need for imrpoved communication with those not already familiar with the organisation. The new logo features a badge made up of fourteen pictograms representing different disciplines. This creates a versatile symbol that can be used in a number of ways. One can use it in small sizes and the crest shape is still apparent, one can make it large enough for all the pictograms to be visible and one can also use a portion of it, or use to pictograms as a pattern. Individual pictograms can also be highlighted through colour to represent different disciplines. Unilever is the worldwide leader on the ice cream market, with subsidiaries in many countries around the world. Every year it introduces at least one new product line across its European markets, and this year it is done in the form of five "limited edition" ice cream bars under the Magnum brand. The product line is called "5 kisses" and the ice cream bars take inspiration from French pastries. The idea is that the ice cream bars are as irresistible as kisses, and the theme is reinforced through a sensual advertising campaign. Manutan is a French distributor of office supplies with subsidiaries in much of Europe. In some countries it trades under different names, notable Overtoom in Benelux and Germany, Witre in the Nordic countries and Rapid Racking in the UK. This January it introduced a new logo accompanied by the tagline "All You Need. With Love.". There doesn't seem to be any rationale provided for the new logo at the moment, but it is an obvious improvement on what came before. 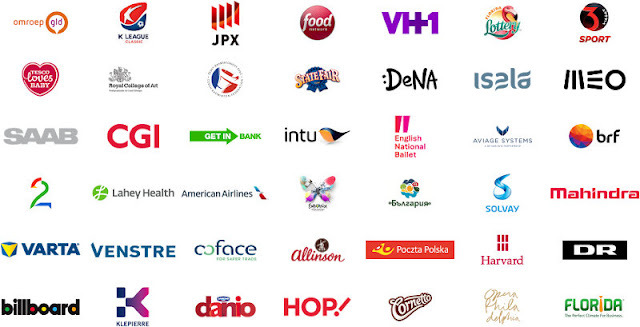 Those subsidiaries that aren't using the name of the parent company have had their logos clumsily amended to show that they are "family members of Manutan". It's Friday, so here's a project that I've had among my drafts for a few months. Zapp and Zappelin are the two children's brands for the Dutch public broadcasters. Zapp targets kids over six, whilw Zappelin is for those under six, and they both operate as cross platform brands with their own dedicated TV channel, slots on other channels and websites. Last autumn, on September 3, they both introduced completely new looks, created by Amsterdam agency Terralemon. The agency was assigned to bring the two brands together, which they did through colour, shapes and music, while also giving them a tone of voice appropriate to each age group. Before this, the two brans had gone in somewhat different directions. Zappelin lost its very literal zeppelin logo in favour of a green butterfly. In idents, the logo flies through a safe and friendly world where characters from the shows associated with brand pop up. The new Zapp logo is more aligned with the diamond shape used by the public TV channels in the Netherlands. This logo also flies through a clean world, but the animation and music is more energetic. Divnitsa (Дивница) is a brand for sugar, flour and grains from Razgulyay, Russia's largest agricultural company. Its visual identity and packaging was recently completely redesigned by Moscow agency Depot WPF. The new look is reportedly intended to "radiate the warmth of home while also being modern" and the communicate the brand's positioning as "warm, caring, friendly and experienced". The new symbol is a "talking pot", drawn like an old engraving. NorgesGruppen is Norway's leading wholesale and retail grocery company. Last month, it launched a new brand called Jippi for a line of healthy products for children. The brand was designed by Strømme Throndsen Design who are also behind the packaging for the initial range of 34 products. While the products have been tested to meet nutritional standards, the packaging is designed to appeal to kids, featuring a set of agile 3D characters. Boy, were there many logo changes in January. This round-up collects almost fifty of them. While the new corporate identity for American Airlines is easily the most significant, this month also saw new logos for American cable channels VH1 and Food Network, as well as Billboard magazine, Harvard University Press, Denmark's national broadcaster and the Polish postal service. There were also several new brands unveiled, such as France's new low-cost airline Hop! In January, the German broadcaster ProSiebenSat.1 launched a new free-to-air TV channel called Sat.1 Gold with an oddly unusual target demographic of women over 49. It launched on January 17 with the 2010 film The Whore, a display of its commitment to German productions. The on-air graphics for the new channel were created by Creative Solutions, ProSiebenSat.1's in-house agency. Naturally, its signature colour is gold and idents feature scenes and landscapes shot against a gold-tinted sunset. The channel was launched with an ad campaign featuring two puppets, also devised by Creative Solutons. Cornetto is a brand for ice cream cones sold around the world by Unilever's many ice cream companies. To start off 2013, the brand has been given a fresh new logo. Although an evolution of its predecessor, the new logo goes in a swirlier direction with swashes extending from the C and double-t. A subtle heart-swash has been also been added. The packaging doesn't change that much, aside from the logo change. 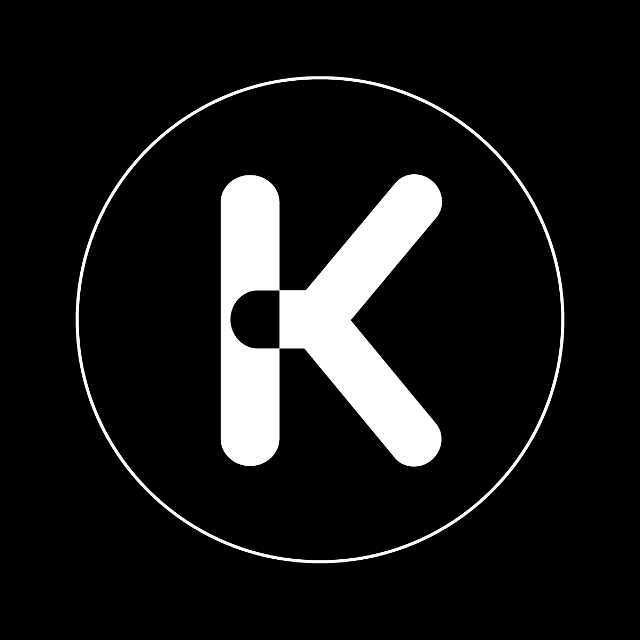 Kudos Film and Television is a UK production company behind scripted quality series such as Spooks and Life on Mars. It is about to get a new visual identity, courtesy of design agency DixonBaxi. DixonBaxi revealed a few pictures from this project last week. It is due to launch later this year. Venstre is one of Denmark's two large parties. Despite having a name that literally means "left", it is the dominating party for the right half of Denmark's electorate. After ten years in government, it lost the election to the Social Democrats in 2011 and became the opposition party. In January, it introduced a new logo, reportedly developed by its ad agency, Hjaltelin Stahl. The new logo symbolises modernity, reliability and responsibility and should represent "a modern worker's party". It is very much based on its predecessor, but has had the typeface switched to Gotham. The party symbol, a V in the form of a check mark, now comes in three colours. In addition to the traditional blue, there's also orange and a lighter shade of blue. Varta is a German manufacturer of batteries that used to a single company, but has now been split up into several companies. Last month, the automotive battery division, now owned by Johnson Controls, unveiled a refreshed visual identity with a reimagined icon. The new icon is an evolution of its predecessor with the appearance of a three-dimensional cube. RBC (РБК in Russian) is a Russian media group that owns a news agency, a business newspaper and a television channel. Yesterday, February 4, it launched a rebranding effort with a new logo. This is all aimed at "bolstering RBC’s reputation as the number one business information media". The previous logo consisted of three bars, that were apparently seen as unstable. They are being replaced by two triangles, to symbolise stability. Teletoon Retro is a Canadian cable television channel that broadcasts older animated series. Launched in 2007 as a spin-off from Teletoon, it is a effectively a Canadian equivalent of the American network Boomerang. Yesterday, February 4, it launched a fresh new look and changed its logo for the first time since its launch. Everything was created by Teletoon's in-house creative teams. The new look is said to target both parents and kids, while also being inclusive for everyone. Rett i koppen is a Norwegian brand for instant meals and drinks, owned by a food company called Toro. Launched to great success in the 80s, sales had declined in recent years. Last autumn it introduced an overhauled package design, created by LFH in London. The new package features several simple icons that convey the instant "on-the-go" nature of how the product is prepared and consumed. They also feature a large new cup logo. Redesigned packaging has been rolled out in late autumn, and some new products are to be launched early this year.